Recover lost, corrupted & deleted files from storage devices like USB Drive, HDD, SD Card, Digital Cameras, etc. 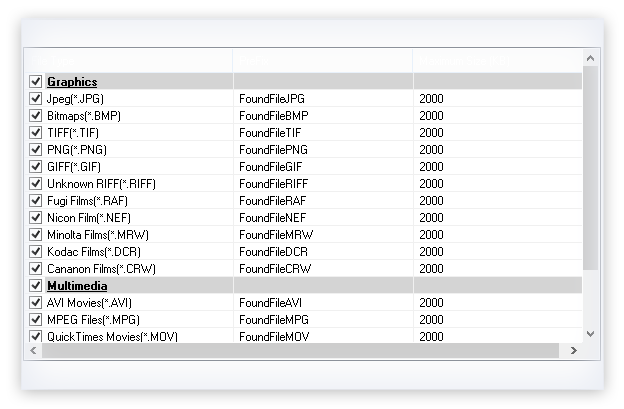 Smooth recovery of deleted or lost video files like AVI, MOV, WAV, etc. 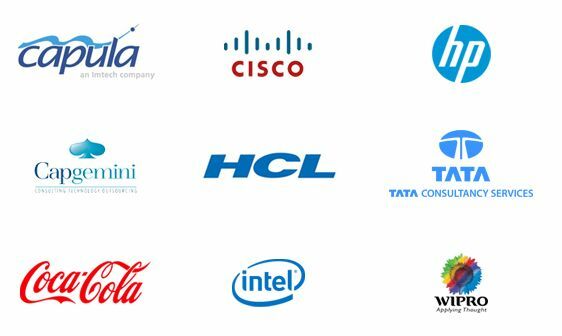 Here comes a big thanks to you and your product. What a product. Just when I have lost my hope to ever see my favorite snaps that I stored in my PC, this Kernel for Digital Media Recovery tool helped me recover all my pictures and snaps. This product saved my time as I was required to submit my assignment. My entire stored pictures got corrupt. My friend told about your digital media recovery software. I used the software and effectively able to restore my lost files. I don't have words to describe my feelings right now. 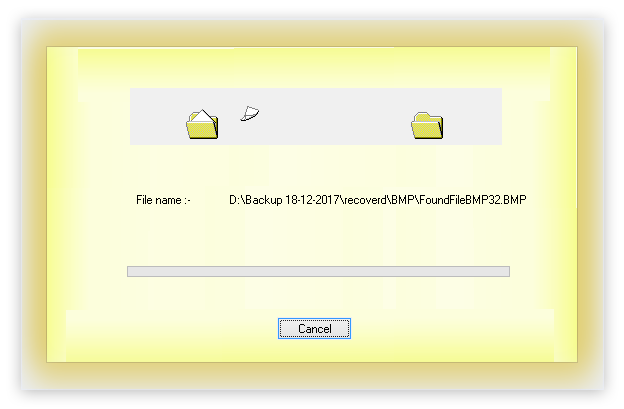 This Kernel for Digital Media Recovery tool helped me to restore my deleted images from Flash Card. Initially, I was not sure whether this software would be able to recover my data. The tool recovers corrupt, damaged and inaccessible photos and priceless pictures from a wide range of storage media like Pen Drives, MicroDrive, Thumb Drives, Flash Cards, Memory Sticks, MMC Cards, XD Cards, Hard Disks and SD Cards. Kernel for Digital Media tool is advanced, easy to use and self-descriptive software which can be used by any technical or non-technical user. To operate this tool, one doesn't need any sort of technical expertise. All steps to operate the tool are much easy to understand. The tool supports the recovery of images of different formats such as JPG, JPEG, BMP, TIFF, PNG, GIF, GIFF, PCX, MPEG, and MPG. It performs a thorough scanning of digital media and extracts every bit of lost data. Using this utility, the user can restore the images that gone corrupt due to virus attack, formatted windows drive, deleted partition structures, corruption of Windows registry, etc. Once your lost/inaccessible files and folders are recovered, you can instantly preview it. Simply double-click the files that you wish to preview, before saving them. The tool can be installed on all Windows OS powered machines (Windows 10, Windows 8.1, Windows 8, Windows 7, Windows Vista, Windows XP, Windows 2000, 98, NT, 95) to perform smooth and efficient media file recovery. RecoverIn this step, you need to select a drive from which you want to recover the photos and click on “Next” button. SelectIn this step, you can see entire recoverable image files. Select desired file and click on “Next”. SaveIn this last step, you can see image file saving process along with its location. How can I recover deleted digital media using your software? 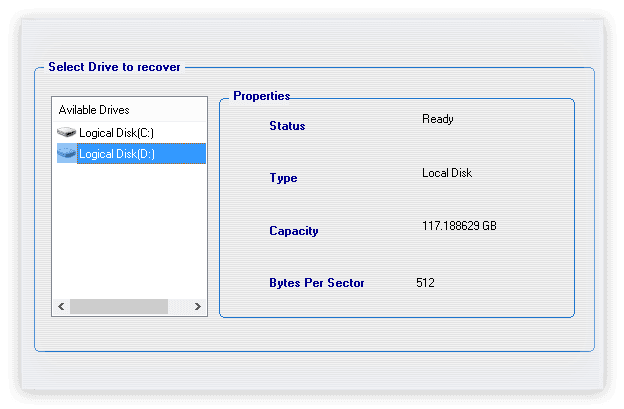 Select a drive for which you want to perform recovery and click Next. Select the file type if you want to recover any specific type of file format and click Next. Now, double-click on any recovered file to Preview. Finally, select a destination and save the recovered digital media files. I have accidentally deleted my all images from my digital camera. Can anyone help me to get my memorable pictures back? Don’t worry! Try Kernel for digital media tool. It is capable of repairing and recovering your original picture files quickly and accurately. You should install this tool to your Windows PC and connect your storage digital media to PC. It scans and extracts all lost, deleted, corrupted or inaccessible image files within few minutes. How much time does the software consume to complete the recovery process? The performance and time of the software depend on the size of the data that you are recovering and the size of the partition you are scanning for recovering the media files. 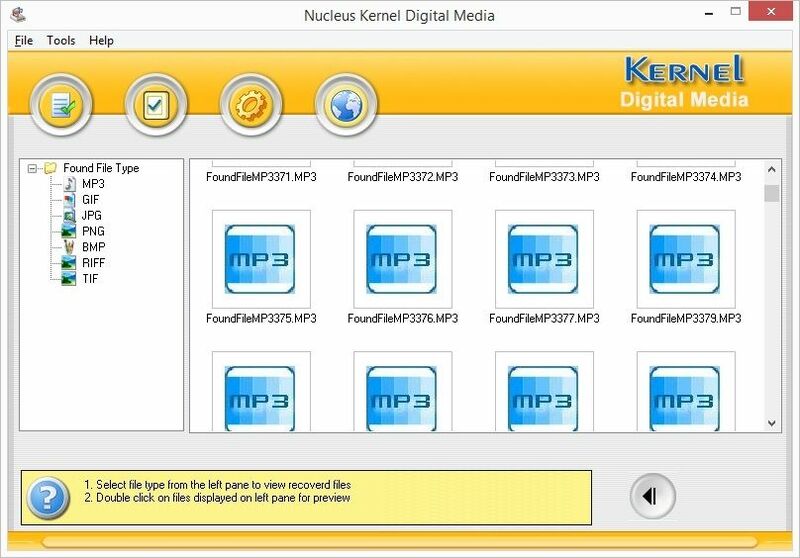 Is it possible to save recovered files with the help of a trial version of Kernel Digital Media software? No, you cannot save the recovered media files with the trial version of the software. But, the software gives you the option to preview the scanned and recovered file by double-clicking on the desired file. You can opt for the licensed version of the software once you are sure about the accuracy of the recovered data. Does it supports all file formats of image files? Yes, the software supports almost all image file formats like JPG, JPEG, BMP, TIFF, PNG, GIF, GIFF, PCX, MPEG, MPG etc. successfully. In addition, it is capable to recover pictures and photos from varied storage media devices such as Pen Drives, Flash Cards, Thumb Drives, Memory Sticks, Micro Drive, MMC Cards, XD Cards, Secure Digital Card, Hard Disks, Zip Disks, SD Cards and Mini Disks. How to get familiar with its features and performance of recovering pictures, photos and video files from digital storage media? It’s very easy to get familiar with Kernel for digital media tool. The trial version of this tool is available for free. You can easily download it and install in your Windows PC. By using it, you can get an actual idea about the tool?s worthiness and performance. However, it doesn?t permit you to save recovered image files but you can see the preview of image. How to purchase Kernel for digital media tool easily at affordable price? 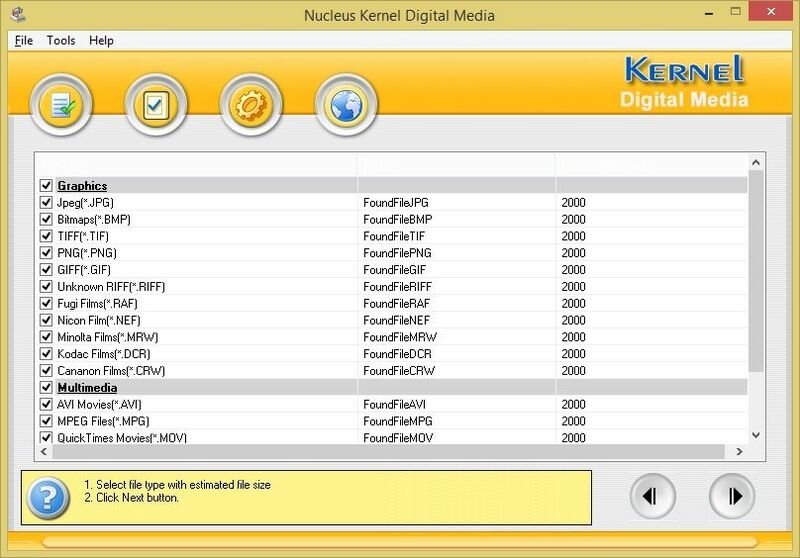 Kernel for digital media tool can be purchased online from our authentic website or from our resellers. It is available at affordable price. Just after finishing online payment process, you will receive an email from our sales team which will contain all essential information about the tool. Online payment gateway is fully secured and protected with SSL. 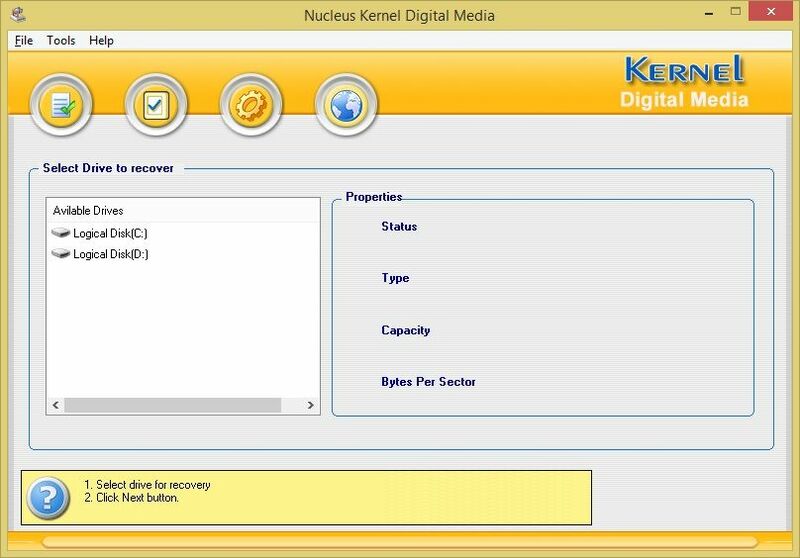 The Nucleus Kernel for Digital Media recovers all your images (.bmp,.jpeg,.gif etc. ), which gets lost due to several reasons like file deletion, format of the drive etc. The main advantage of this software is its functionality. It can work with any type of digital card reader or storage media that appears as a drive letter in your computer. Restore data from corrupt, and damaged VHD files.